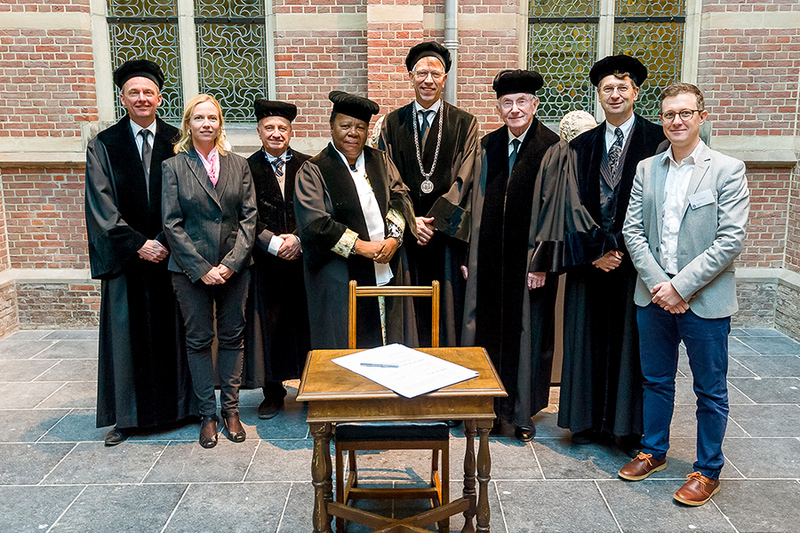 On 26 February 2018, the European Regional Office of Astronomy for Development (ROAD) was brought into existence at a signing ceremony at Leiden University in the Netherlands. It was preceded by a ceremonial address by Grace Naledi Pandor, South African Minister of Science and Technology. The occasion also marked the appointment of the Minister as honorary visiting Oort Professor of ‘Astronomy for Development’. The ceremony signified the creation of the International Astronomical Union’s (IAU’s) tenth Regional Office, coordinated by the IAU’s global Office of Astronomy for Development (OAD). The European ROAD will be operated jointly by the European Astronomical Society and Leiden University. The European ROAD was officially launched during the European Week of Astronomy and Space Sciences (EWASS 2018) in the UK. Presentations by Vanessa McBride (OAD), Lex Kaper (EAS) and George Miley (Leiden) gave an overview of Astronomy for Development, and their vision of the implementation in the European context. The question-and-answer session that followed, lead by Kevin Govender (OAD), was well attended and provided an important opportunity for community input into the plan and vision of the EU-ROAD. Regional offices work closely with the OAD to execute the vision of Astronomy for a better world, with a focus on a geographic or cultural region. The other regional offices are located in: Colombia, Jordan, Ethiopia, China, Portugal, Thailand, Armenia, Zambia and Nigeria. The newest regional office in Europe will carry out and coordinate relevant astronomy-for-development activities focusing on accomplishing the United Nations Sustainable Development Goals in Europe. These tasks will be carried out in cooperation with existing activities of pan-European and national astronomical organisations.